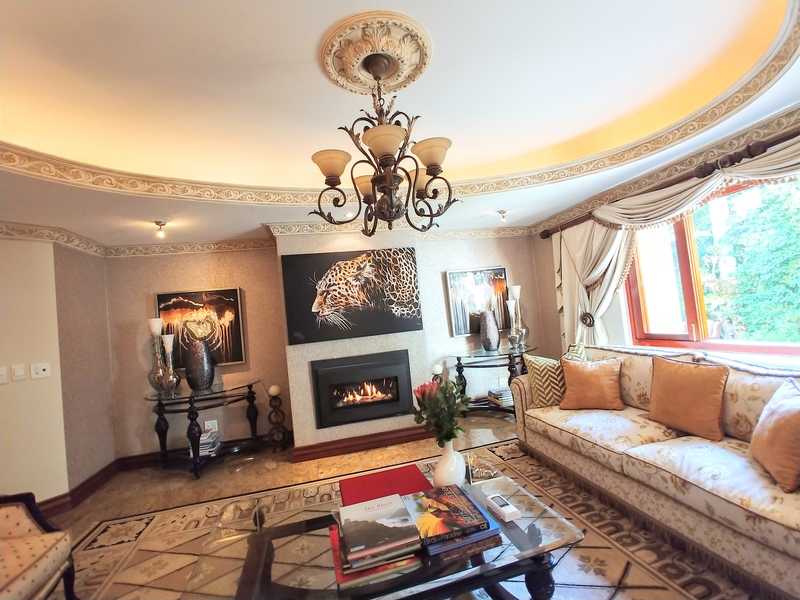 An exceptional and enchanting Villa. 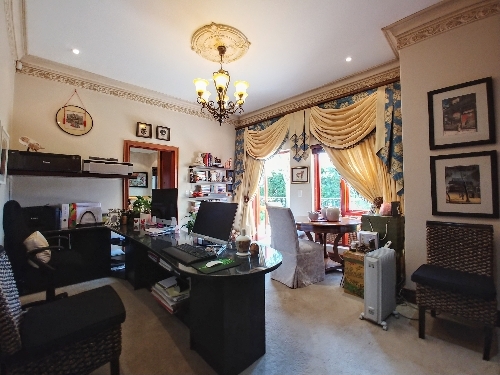 A one of a kind family home that exudes grace, elegance and poise. 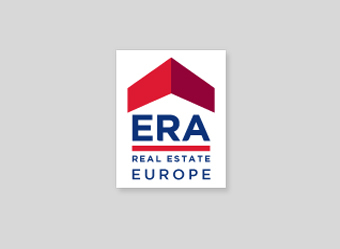 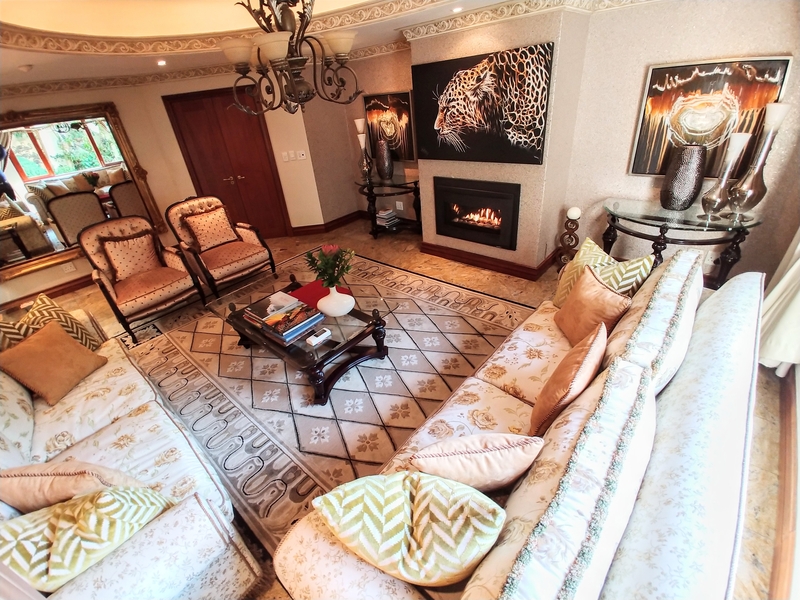 A winning combination of luxury, warmth and privacy creates an idyllic lifestyle. The lavish double story property boasts soaring ceilings, open-concept living areas and multiple retreats to beautiful outdoor living spaces and a perfectly manicured garden. State-of-the-art appliances, with a mix of gas and electrical oven and hob, granite tops, separate scullery and ample cupboard space are on offer in the chef-inspired kitchen. 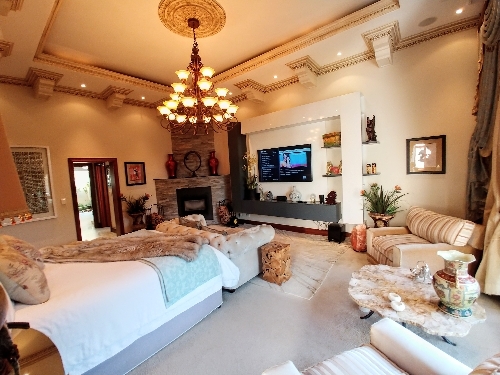 The interior is highlighted by an exceptional amount of detail which includes marble floors, sound system, underfloor heating, solid wooden finishes, wood and gas fireplaces, not to mention the lovely chandeliers throughout the Villa. 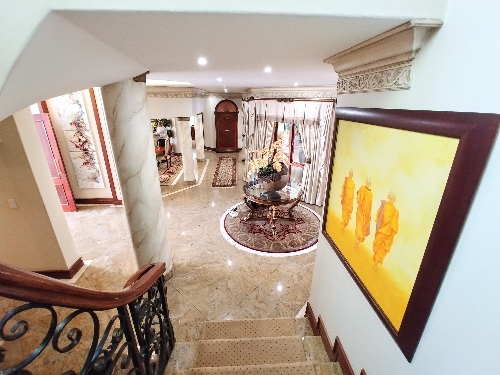 The entrance hall, with a high Cathedral ceiling, makes for a grand entrance and leads you in the direction of the magnificent dining room with solid wooden finishes. The formal lounge overlooks the beautifully manicured garden and is fitted with a gas fireplace. 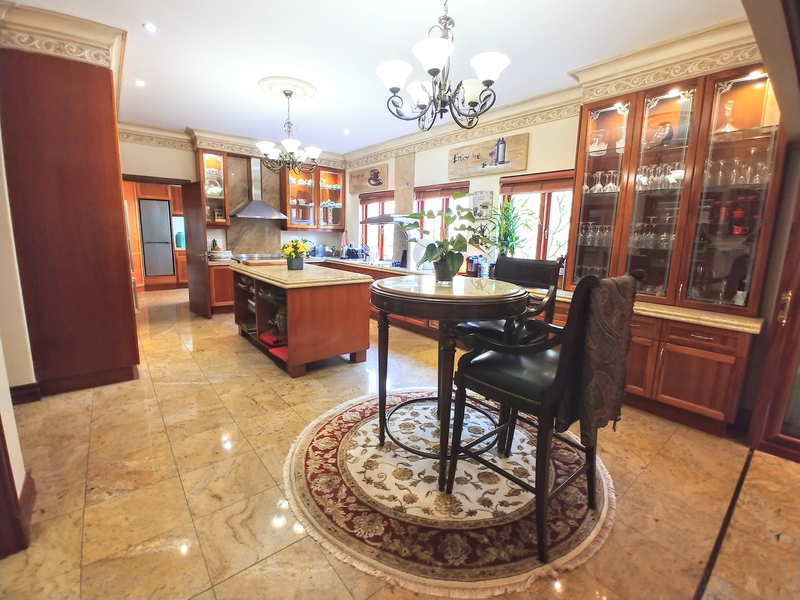 Glass and wooden stackable doors separate the kitchen and recreation room. There is also a private study to work from. 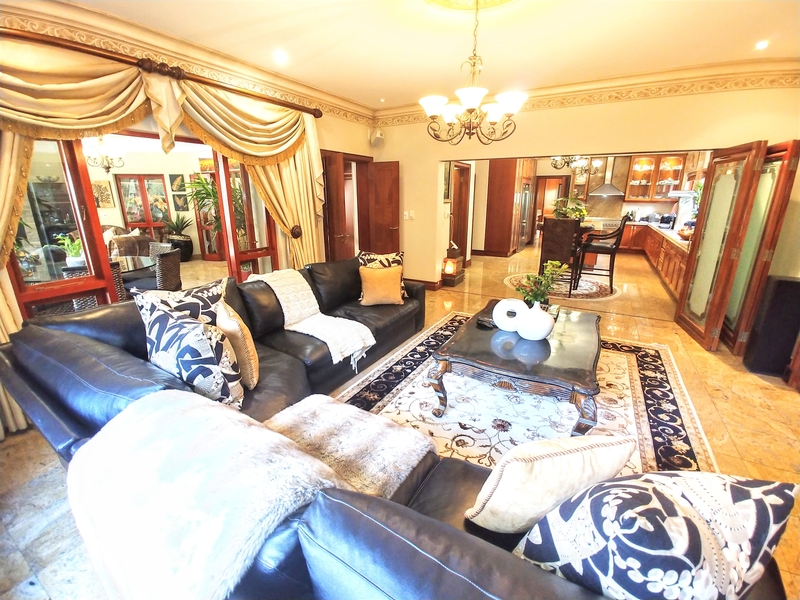 This is, without a doubt, the ultimate home for a family and for entertaining friends. 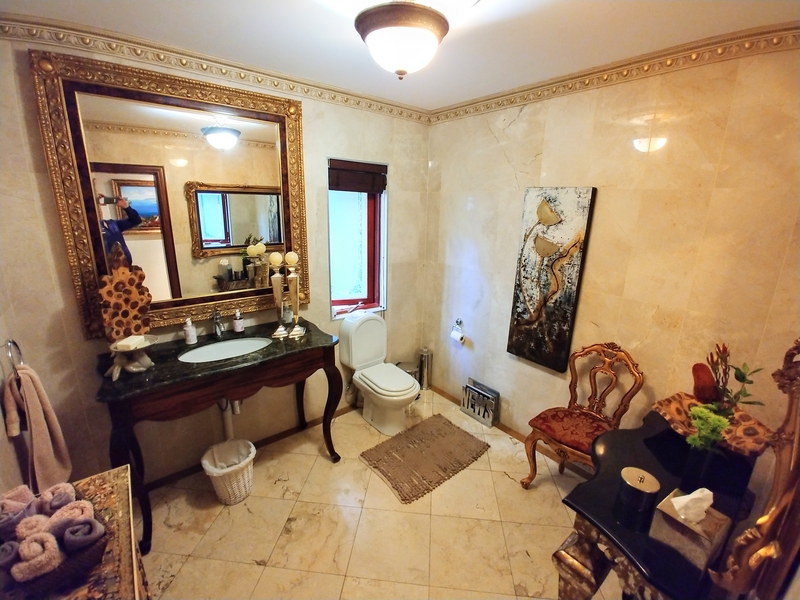 Heading up the marble staircase, which consists of an automated lockdown gate for peace of mind, you are greeted with an exceptional and luxurious master suite offering a wood burning fireplace, high ceilings, private balcony, steam bath and a walk-in wardrobe. 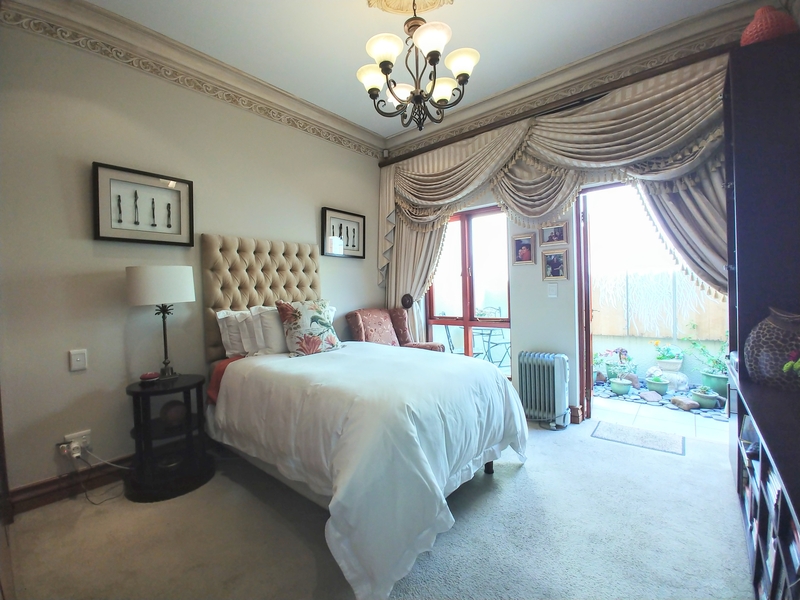 The family bedroom wing is all en-suite with full bathrooms and lovely finishes. Magnificent! 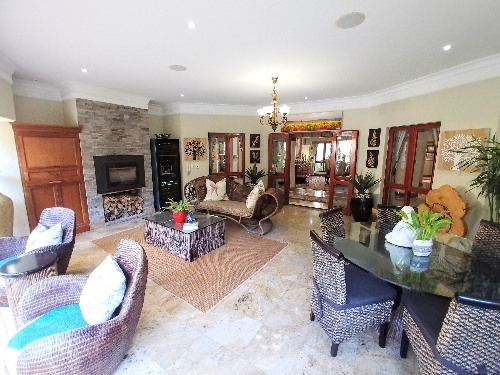 Outside on the patio, which also has a wood burning fireplace, your eyes are steered to the mesmerizing scenery showcasing a heated pool and an evergreen garden, truly a magical setting! 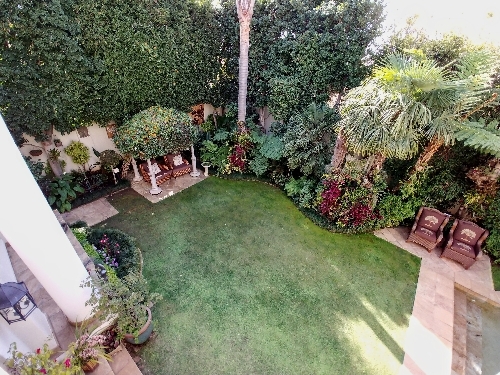 The secluded private garden is surrounded by high trees and is peaceful and private, yet grand. Lastly, adjoined to the primary residence is a flatlet with its own private entrance. This offers a kitchenette, lounge, bedroom and bathroom. 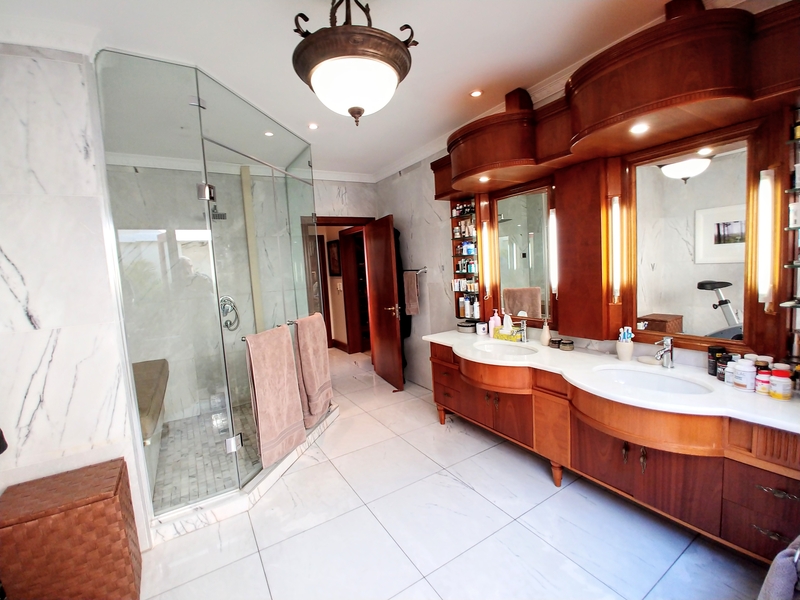 Designed with quality construction and living spaces. 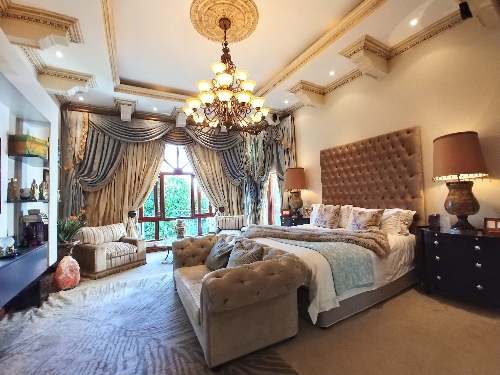 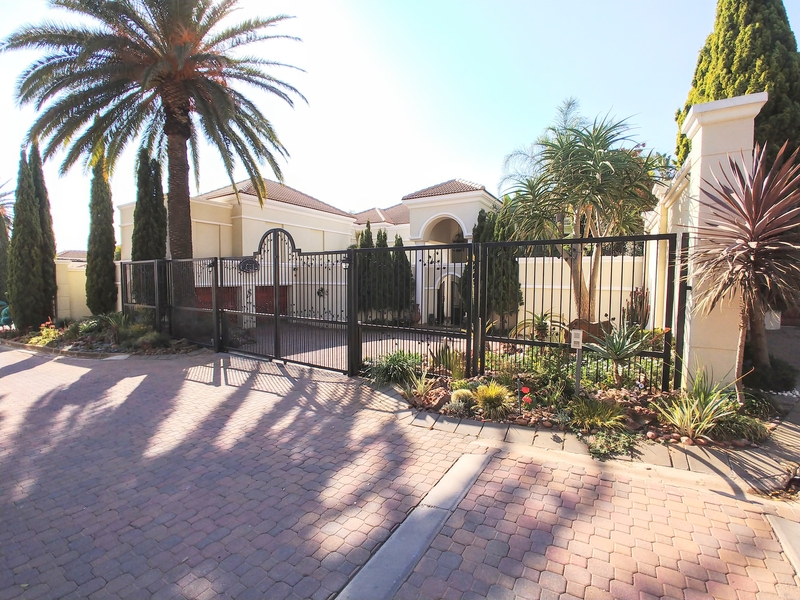 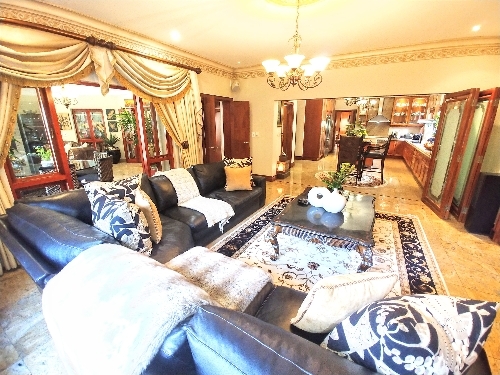 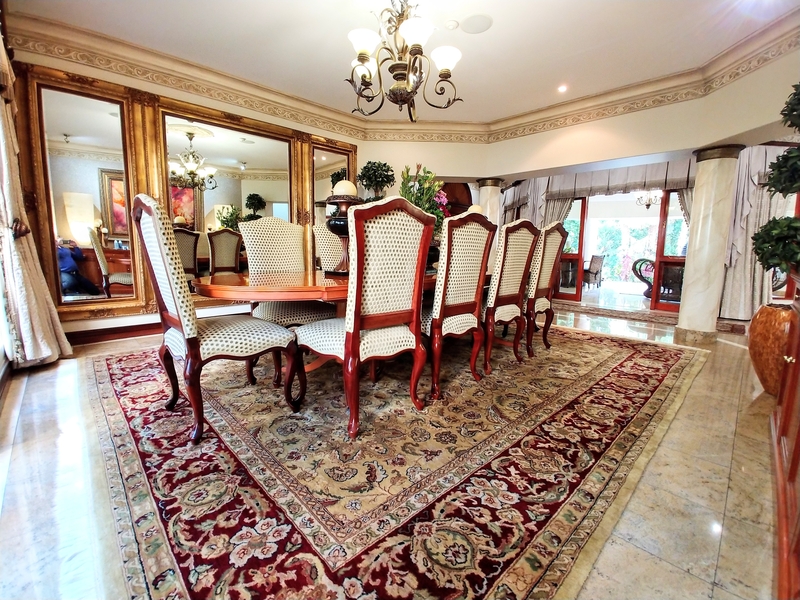 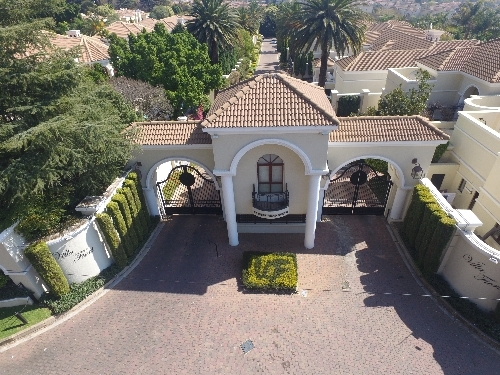 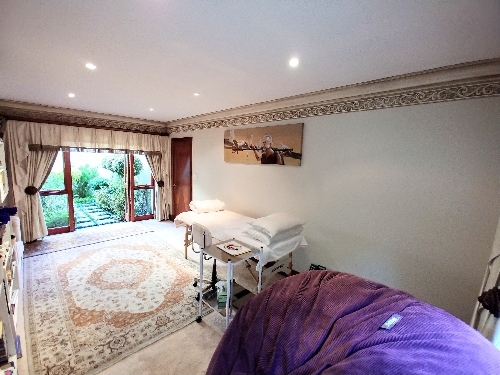 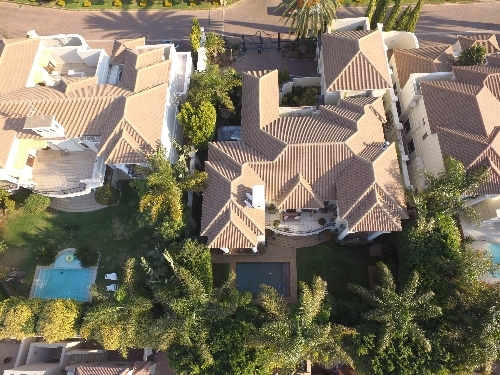 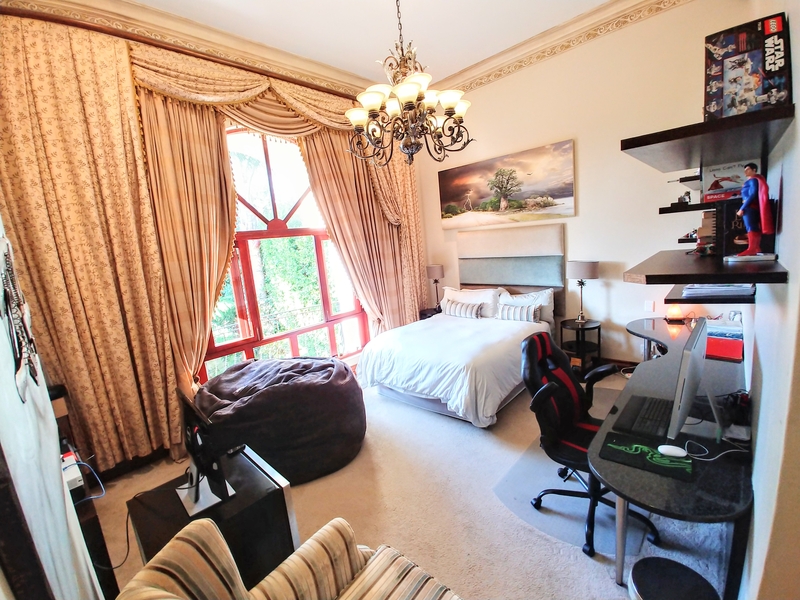 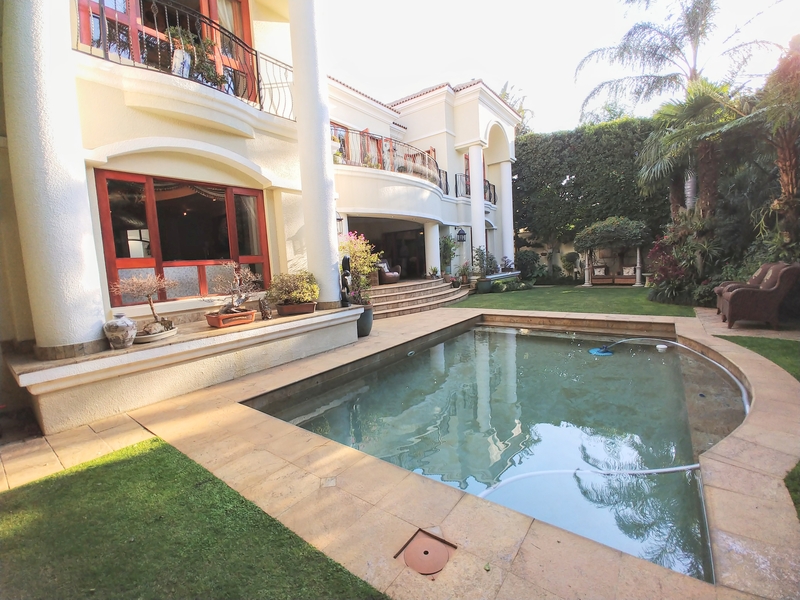 This property is located behind wrought iron gates in one of Sandton’s most desirable areas. Super chick and very exquisite!